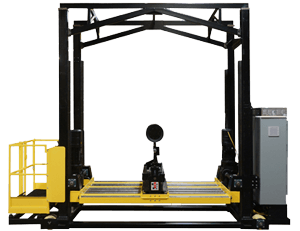 This is the ideal machine for facilities requiring 10 to 100 lift truck battery changes per day. 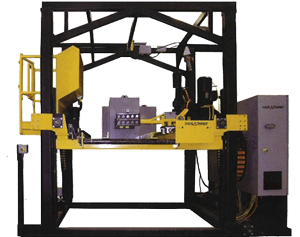 The two compartment design enables maximum use of rack space allowing operators to remove and replace a discharged battery quickly. 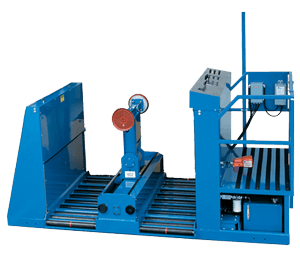 Designed to make maximum use of valuable floor space for facilities with high-capacity applications requiring 20 to 250 battery changes per day, this battery changer is one of the most efficient machines on the market today. With capabilities up to 6 levels high, this is the ultimate high volume battery changer (up to 300 battery changes per day). 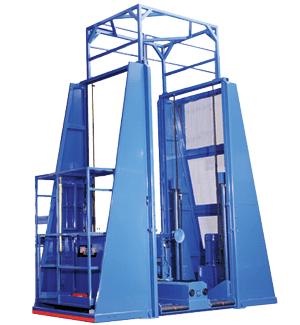 It offers 100% true multi-function control; the operator can travel, raise the carriage, and manipulate the vacuum arm simultaneously without any loss of performance. 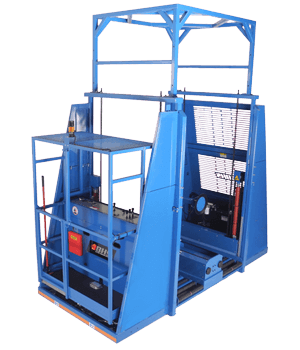 This next-generation, fully automated battery changing system allows you to execute flawless battery changes every time. 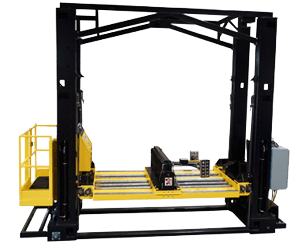 Forklift battery handling solution for light to mid-sized fleets. Ideal for facilities with floor-level system stands and space at the end of the aisle. 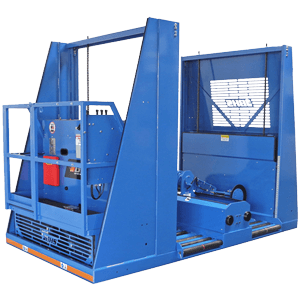 This reliable forklift battery changer is ideal for fleets that use between 1 and 99 batteries. 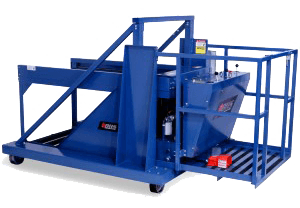 It incorporates two pass-through roller beds and a powerful extractor arm to substantially reduce battery change-out time. Transfers batteries from racking systems up to two levels high. Speed up battery changes while conserving valuable space. Provides dependable service for battery fleets with an approximate range of 100 to 149 batteries. Ideal for expanding battery collections, it provides particular benefit to forklift fleets that use between 150 and 299 batteries. Offers the greatest combination of space-saving design, efficiency and safety for fleets with more than 300 batteries.